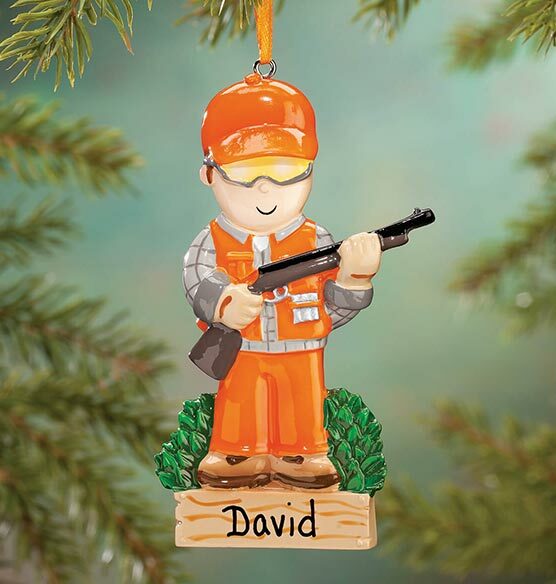 Wearing bright blaze orange from head to toe, this personalized hunter ornament celebrates big game, great memories—donning one special name! Our hunter Christmas ornament will be custom personalized for your favorite sportsman, bagging a keepsake gift they'll love for many holiday (and hunting) seasons to come. Specify name; limit 1 line, 10 letters/spaces. Resin. 2" wide x 4" high.